It is common to get hacked online. Over 1,000,000,000 Yahoo accounts were hacked almost 3 years ago and it was not disclosed until 2016. But no one cares as there is no money at stake, but in the realm of cryptocurrencies, it is different. Here, money is at stake. I think people who hold cryptocurrencies like you might be able to get what I am saying. Cryptocurrencies like Bitcoin or Ethereum are digital currencies which are supposed to be kept with the owner with its private keys secured. Cryptocurrencies like Bitcoin which were conceived at the first place to give back masses the power to hold their own money but in reality, they are predominately kept at centralized cryptocurrency exchanges where they act like honeypots for attackers. Moreover, currencies like Bitcoin are very easy to hold because all it takes is a backup of your seed or private keys, but still, many investors keep procrastinating and ultimately lose their funds. But I know you are not one of them and that’s why you have come here to check out the list of Ledger Nano S supported coins so that you can store your crypto funds on it. And I must say, your this thought process is simply commendable and even more commendable is Ledger Nano S device that lets you store so many cryptocurrencies all at one place. 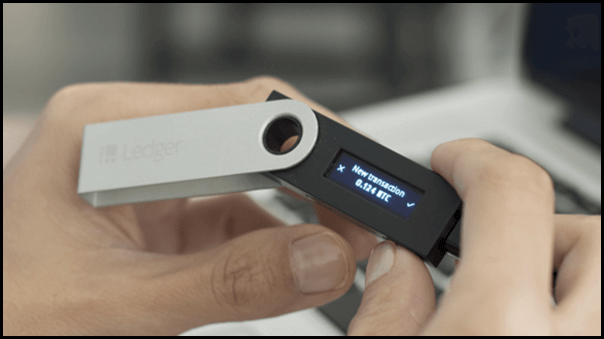 Ledger Nano S is a small flash drive like device that is used to store cryptocurrencies like Bitcoin, Ethereum, Litecoin on its hardware. It has an OLED screen with two buttons on the side to help you navigate through the Ledger’s interface. Moreover, it is an HD wallet that doesn’t require you to use the same public address again and again thus safeguarding your privacy. For security, Ledger Nano S provides you the Bitcoin private keys in the form of 12- word seed that you need to keep safe. 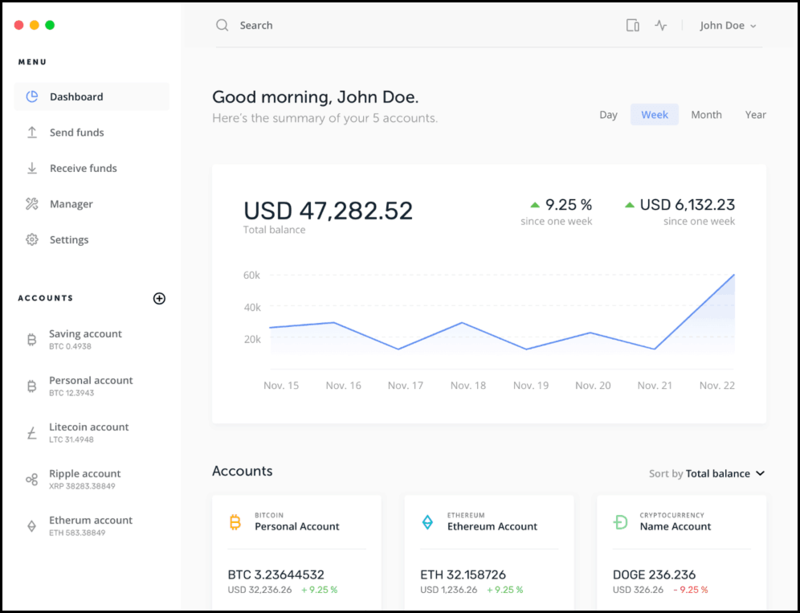 Losing this seed would mean losing all you funds stored on the Ledger Nano S.
Ledger Nano S also supports forked coins and tokens very quickly which means you will be able to claim free money like Bitcoin Cash, Ethereum Classic, Bitcoin Gold quite easily if you have Ledger Nano S.
Lastly, new currencies are being added rapidly by the competent team of Ledger developers so that you continue to experience the seamless performance of Ledger Nano S wallet. #1. Bitcoin– The world’s first fully functional cryptocurrency. #2. Litecoin– Invented in 2011, a fork of Bitcoin, considered as silver to Bitcoin’s Gold. #3. Ethereum– World’s computer and smart contract platform for DApps. #4. Ethereum Classic– Code law and fork of Ethereum. #6. Bitcoin Cash – Fork of Bitcoin with bigger blocks. If you have noticed, Ledger Nano S supports ERC20 tokens also. That’s why the total number of coins and tokens supported by Ledger Nano is above 1100+. Apart from that if you are someone who is holding a significant amount of cryptocurrencies or even 1-2 bitcoins, you should consider investing in Ledger Nano S so that you can sleep peacefully. Conclusion: Which Coins/Cryptocurrencies Ledger Nano S supports? 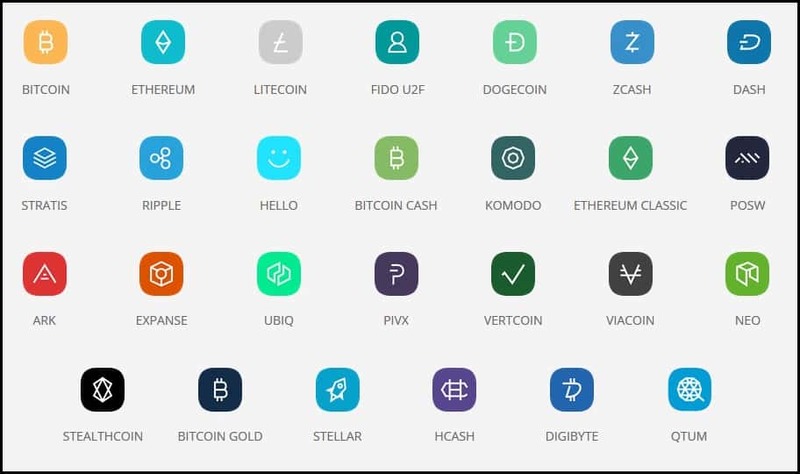 So this was the list of coins supported by Ledger Nano S, but I still know some of you would be reluctant to buy a Ledger Nano S and would continue using that shabby paper wallet. But I still don’t understand who uses a paper wallet in 2019. Of course, in the early days of Bitcoin, in 2010-2013, it was understood that there were not many cold storage options for storing bitcoins and other cryptocurrencies. But this is 2019, and if your are serious about safeguarding our cryptocurrencies, you must have Ledger Nano S like devices in your crypto toolkit. Moreover, paper wallets are not easy to use, and not everyone can use them that’s why forget about safeguarding it for the least. Buyers from Amazon and others have reported about defective and malwared Ledger Nano S devices in the past that’s why we recommend Ledger’s official site only for purchasing Ledger Nano S.
Lastly, if you want something more sleek and attractive in design, do check out Trezor wallet, and our Trezor supported coins article to compare between these two fantastic hardware wallets. So that’s all from our side, and we shall be back with something exciting very soon. Untill that time keep learning and keep sharing about the crypto revolution with TheMoneyMongers.